Discussion in 'Fine Living, Home, Design & Auto' started by Piobaire, Feb 25, 2010. 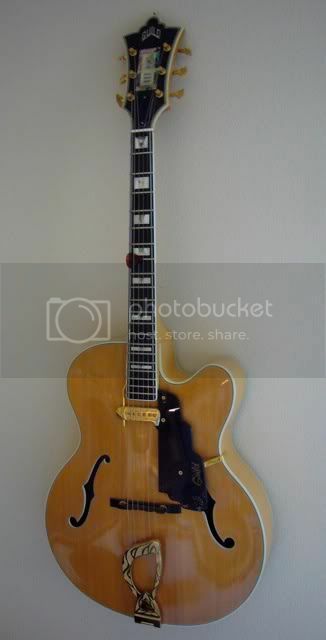 I'd start off, but the only guitar of mine I have pics of is the one that I'm getting rid of because it is ugly. When I replace it I will have pics of the new baby, though. oof. I used to collect quite a bit. It was damn fun. in NYC, I obviously have a lack of space. The daily player is a Fender American Vintage 60's Strat in Olympic white with a Vox Valvetronix 30 watt amp. I really like the fender MIJ guitars. Superb values. I'm starting the process of selling off all of the above except the Gibson amp. I just want one awesome guitar and one amp, since I'm only fooling around. Everything will go to fund a K-Line Time Kapsule Telecaster (Lake Placid Blue metallic, chunky rosewood neck, vintage-style pickups) and some kind of boutique 5w amp. It sounds great, I just can't stand the color. Once I find a made in the 80's 70's reissue MIJ that is a true white, I'll be all over it. Biggest beef with the LP is that I think flamed 'burst finishes are cheesy as hell. 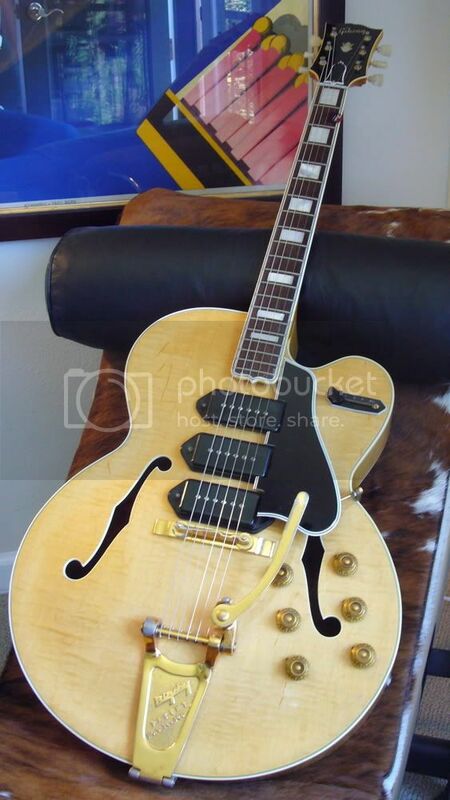 Plaintop tobacco burst or goldtop, please. I'm a much bigger fan of the '60's models, even if it's just for the nitro-cellulose paint over the poly based paint.